For years now it seems like the sport has been up for grabs. Though nothing has materialized, it always seems like there is a new player stepping up to the plate. In case you didn’t know, F1 is valued at around U$ 8-12 billion and in recent years, moguls like Rupert Murdoch, Stephen M. Ross, the Saudis, and the Abu Dhabis (in sovereign trust funds form) of this world have been linked to the purchase of the top echelon of racing. Why Apple? Well, to begin with, it has U$ 94 billion overseas and putting that money back on American soil would cost them a large chunk in taxes. So instead the money is just laying around in some offshore account. The source to this rumor is Joe Saward, who is a respected British F1 Journalist. No quarrel there, though he himself hasn’t written anything about this alleged deal. But when you begin to put tech journalist who don’t know a thing or two about the sport to write about it, they are bound to get several things wrong. Teams in F1 own the technology, not the sport, so saying they might benefit from the engineering perspective is out the window. Honda, Mercedes, Renault are all direct competitors of Apple if they are really going into the car business. So why would they share there resources with them? Only under licensing could this model work, but for that you wouldn’t need to buy the whole sport. Even in design, the same applies. The Aston/Red Bull partnership shows that. Aston didn’t buy Red Bull or the other way around. They hired the talent and went at it together (remember though that Red Bull does not make cars). So unless the likes of Adrian Newey is willing to sell his soul to the devil like Gordon Murray and give us another quirky vision of the future of the car, I fail to see how Apple wins here. Keeping in mind that Apple’s car is rumored to be a full electric vehicle, Why would they align themselves with petrol powered hybrids? Saying Apple will do so to get a seat on the FIA, which oversees Formula E is probably the stupidest thing of all. They would be much better off buying Formula-E for that matter and re-branding it entirely to create additional value aligned to its car brand. Heck, they could even make the series free to attend for all, or if you own an iPhone in order to promote it. Where these analyst might be right though, is that Apple has consistently failed to “revolutionize” the TV. Therefore Apple’s purchase could be signaling a serious push for content. F1 is one of the most watched sports globally and in recent years we have seen how in some countries or regions the broadcasting rights are split between some channels because they are extremely expensive. I’ll use South America as an example. F1 is shown on Fox Sports 3, but only half of the races. The other half are unavailable because they decided to not buy the entire season. But at least Fox Sports 3 is a channel that comes standard in any digital cable plan (in Bolivia at least). This is unlike England, where I believe the season is split between BBC which is basic, and SkySports, which is a premium channel for which you have to pay an additional fee. F1 moving over to Apple TV might be a good thing. Given that they might employ a pay what you watch scheme, then I might be able to buy the other 10 races I don’t already get on basic cable for a cheap prize. But spending that much money on a whole new industry with which you have no association might piss off investors. 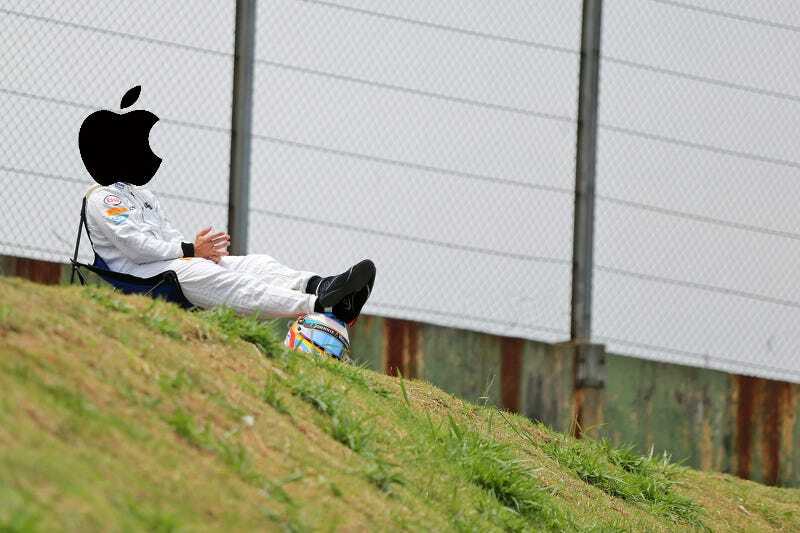 Moreover, I might worry as well as to how much attention F1 would receive from Apple, in terms of making the business grow. With so many other sports battling it out for air time, F1 has taken some hits in the ratings over the past couple years. It would be more sensible that Apple is backing a group of investors, with the condition that they get some sort of broadcasting deal. Unfortunately this also sets a dangerous precedent. Rather than sports negotiating such fees with digital content providers, the notion that these tech companies could end up owning the sport could be bad for the viewer. Imagine if tomorrow Google went and bought the NBA? Or Microsoft bought the NFL? Instead of freeing viewers from current cable companies, we’d also be walking into a model where you could end up buying into different streamers in order to get access to the sports you want. You might not just end up with an AppleTV, but with a Roku, FireTV, ChromeCast, and whatever else is out there already as well. Instead of consolidating a trend, this could set a precedent that fractures the industry even more. Though many find F1 and Apples lack of comment or denial of the rumors to give it more traction, they might just be pawns in Bernies selling game. Such a rumor, could put pressure on any potential buyers, which could end up benefiting his sale price. As exiting as the 2017 rule changes will be, we might get treated to the biggest change of all for 2018; a new Supremo to lead the charge in the 21st century.